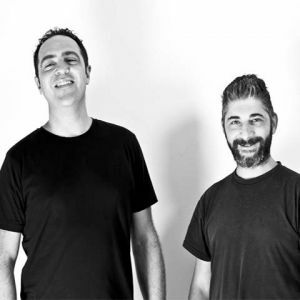 After several experiences as DJs in a lot of clubs, with the same passion for music, in 2011 Piero Napolitano and Marco Bellavia created the project “Mus Threee”. Their House Music productions are eclectic, with acoustics that explore several musical fields: Soul, Funk, Latin, Afro, Jazz, Electronica; have been published by Irma Records, Vida Records, Double Cheese Records,K&D Lab, Soulful Evolution Records and many others. The first composition, Inside My Soul, was subsequently followed by Above The Clouds, Journey, Mediterranean Dream, Paradise, Wire, Welcome To My Life, Time Machine. Defected Radio Show, Arise Radio (Chicago WNUR-FM 89.3), Dr. Bob Jones/The Surgery (MI Soul – FM) , M20/Soul Cooking (Ita -FM), The DEEP TENOR City Radio (UK), Radio Party Groove (Ita- Fm), UP Radio (Greece FM), WHCR 90.3 (New York FM), THE GROOVE TEMPLE” (WLUW-88.7 (Chicago – FM), Milk and Honey (Los Angeles) Cyberjamz (New York), Simply Salacious (London- FM). All their productions are supported by world-renowned DJs such as Lem Springsteen (Mood II Swing), Dr. Bob Jones, Jose Padilla, Antonio Ocasio, Spiritual Blessings, Mannix, Tedd Patterson, Lenny Fontana, Hector Romero, Crazy P, Sam Devine, Robert Clivilles (C & C Music Factory), Dan Tenor, Papa Dj, Black Terry, Severino (Horse Meat Disco), Pablo Fierro, MoBlack, Mark Francis, Oscar P, Sunlightsquare, Spellband, Hippie Torrales, Toto Chiavetta, Greg Fenton, Inaky Garcia, Souldynamic, Dj Romain, Jose Marquez, Homero Espinosa, Junior White, Master Kev, Sarah Favouritizm, Deep Mesh, Carlos Francisco and many others. Stay tuned for other releases!